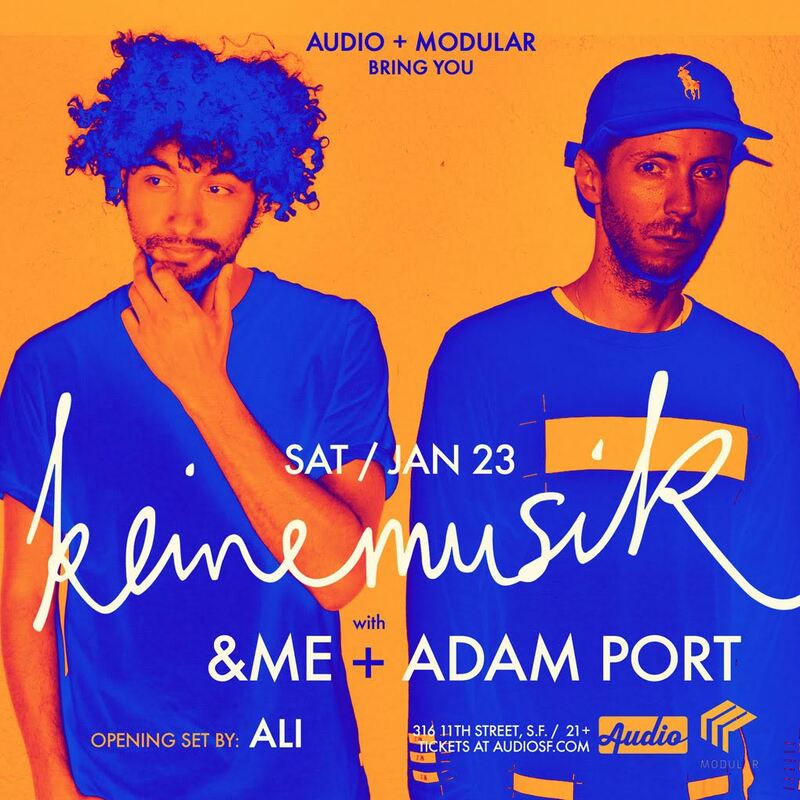 Keinemusik Showcase is back on Jan. 23 featuring &ME and Adam Port! Keinemusik is not the type of record label as you know it. When putting out a record, the guys will wrap it up personally, refine it with artistic splendour, stamp it and seal it with a kiss, before it ends up in the stores or on your turntable. Keinemusik is a DIY-operation. Not, because it makes that imposing impression or because they like to wallow in nostalgia, just because it feels right. Keinemusik is a network with the label as the pulse pumping centre. Everything happening there gets onto Keinemusik.com on time and bilingual. But above all, Keinemusik is the spirit that moves the collective behind the imprint. The spirit to find the own agenda and let nobody get in the way. The spirit of refining House and Techno off the beaten track. Be it within their own tracks, within productions of other sorts or DJ-sets. The spirit of recall value within record- and flyer-artworks and everything intermediate in word and image surrounding releases and parties. Keinemusik has been around since 2009. It has been naming an existing friendship and linked interests of six members – five DJs and one graphic designer and painter. Five releases per year have been released ever since, solely laid down by members of the crew. The headquarter can be found in Stattbad Wedding since 2012 – undoubtedly the best place in Berlin to translate the vibe of the city into beats. If there’s a credo, it would be: you don’t necessarily need to be overly serious to be taken seriously. Welcome to the party, brothers and sisters.